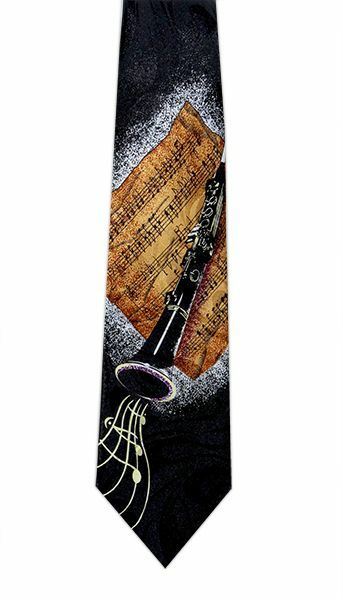 Musical ties at musicalgiftsonline in a variety of colours and designed around musical instruments including guitars, drum kits, trumpets and musical symbols and music manuscript. The fabric is either 100% polyester or 100% silk and from either The Tie Studio or Music Gifts. We now offer a new gift wrapping service for any items in our musical tie section. Great music gift ideas are also available from musical bow ties, musical cufflinks or the musical clocks sections.